Editor’s Note: Leading up to the announcement of the 2015 Rider of the Year we are re-releasing pieces of each of the past 14 ROTY articles from the magazine. 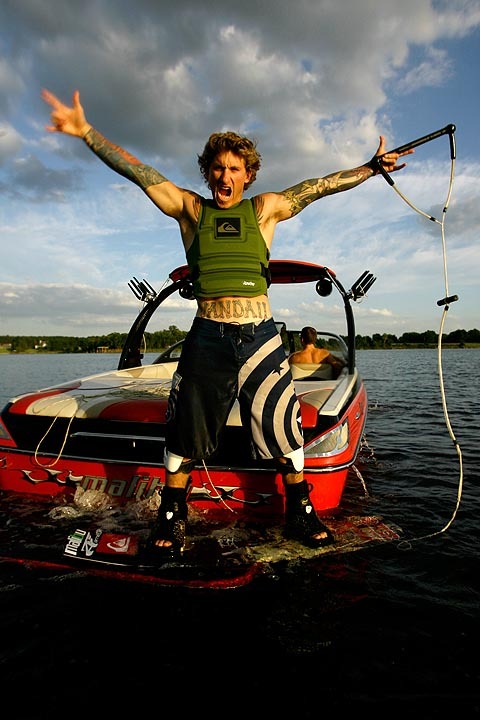 2007 was the year Randall Harris not only came back from two years of not touching a wakeboard, but he blew away the sport in the process and subsequently earned the ROTY title. Over the past decade, beginning from the time I first knew OF Randall Harris and through the years as I’ve gotten to know him personally, two questions have always lingered in my mind – How many times can you be the future, and how many times can you come back? People were always making these kinds of claims on his behalf, and after a while it’s tough to believe. But now the answers seem so damn easy: once, and as many times as it takes. That’s it. The act of just being DEEMED the future is the legacy, not living up to anyone’s expectations of what that future holds. It’s his life, after all. And as far as coming back, well, I think 2007 pretty much put that one to bed. The bonus, of course, is that Harris has far exceeded what we so desperately wanted to call our own, back when he was coronated the Great West Hope at the tender age of 15. That was just about the moves. Watch him today and it’s obvious it’s about so much more than that. It’s about peace and second chances, about blind luck and things we can’t explain, about passion and finally, it’s about love. 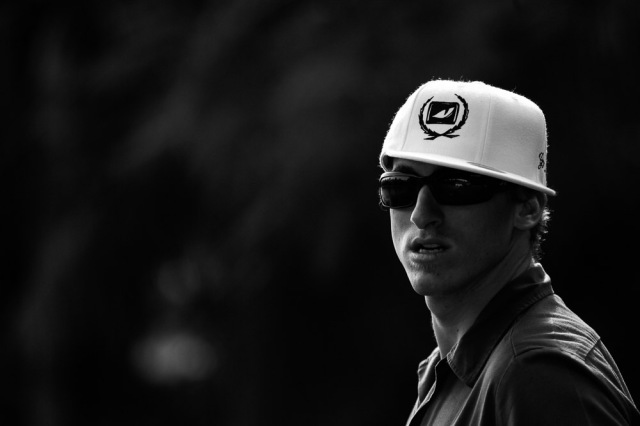 Love for wakeboarding, sure, but also love for himself and obviously for God. Whether that’s your thing or not, there’s no denying that is what has resurrected him. The odd thing about this 2007 Rider of the Year business is that nobody saw it at first. In fact, up until a few weeks ago we still hadn’t nailed it down. I actually called an emergency meeting of the former ROTY’s to get them to lock down their yearly vote, and literally ended up presiding over a table of chicken wings and apathy. Danny and Rusty with their 1080’s? Parks made a nice win at the Carnival, right? 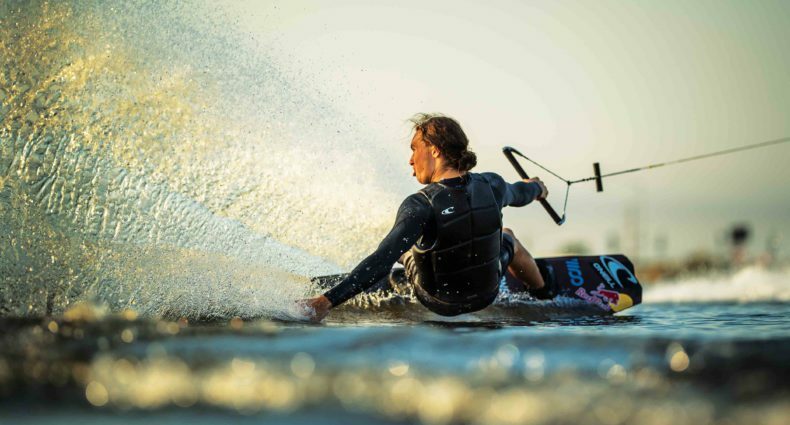 Collin Harrington has been doing some cool all-around waterman things. “What about Randall Harris?” I asked. And then the stories started pouring down. Everyone had something to say, and all of it resonated. After 10 minutes of non-stop talk the table reached a 10-second silence, which Parks broke by saying, simply, “I think we just decided it.” This may sound strange, but I felt like it was some sort of divine intervention. Maybe the Big Guy really is trying to deliver wakeboarding someone special. If you watched Randall Harris over the past year, I don’t think there’s any problem in believing that.